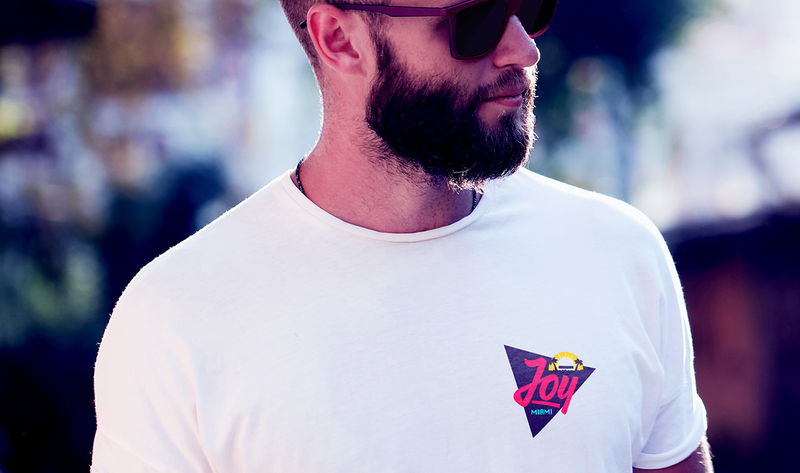 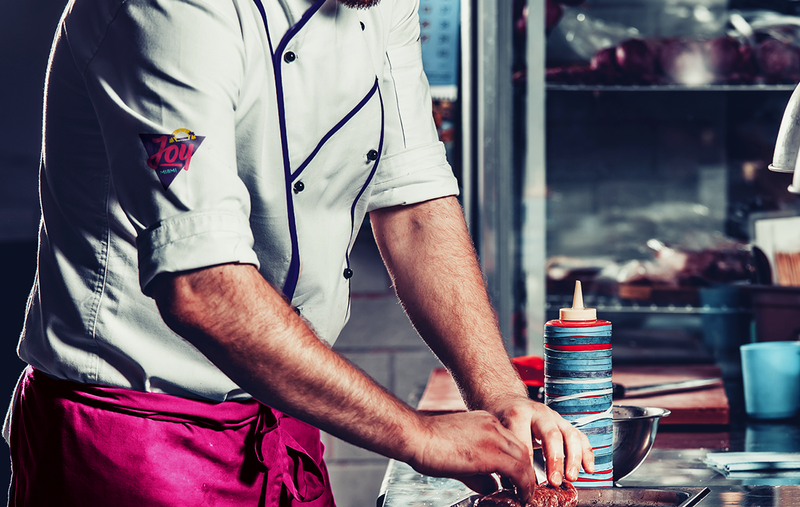 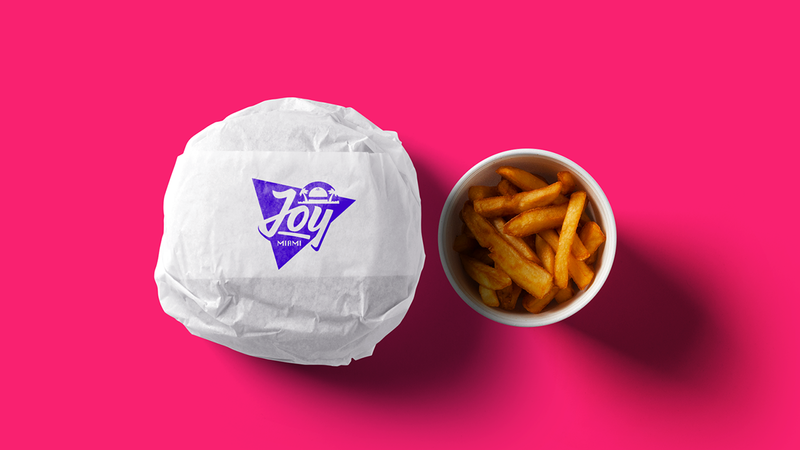 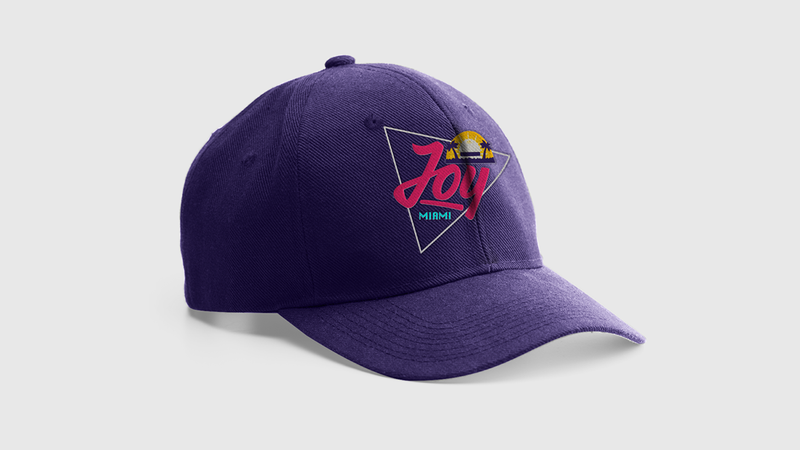 Joy Miami is a fast food restaurant located at the countryside of São Paulo. 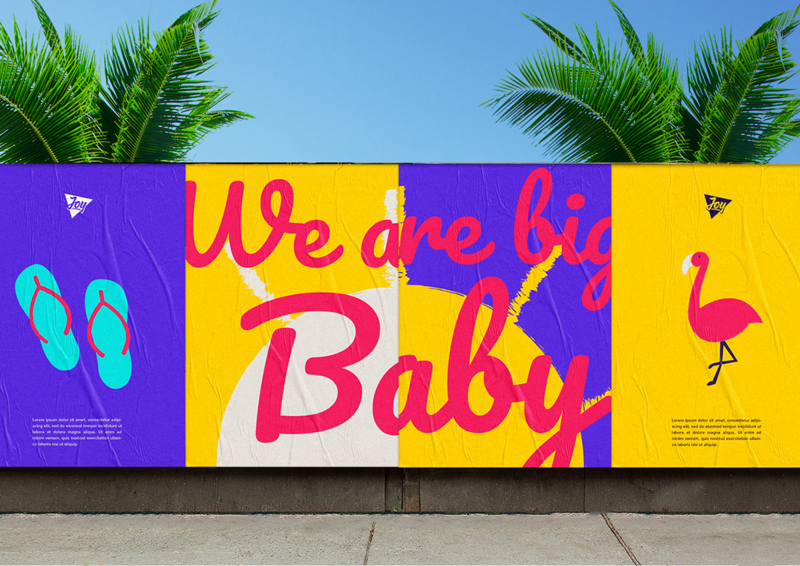 After a good trip in Miami - and then back to Brazil - the client was delighted by the beauties of one of the most latin city in the United States, and decided to create a new fast food place totally inspired by Miami. 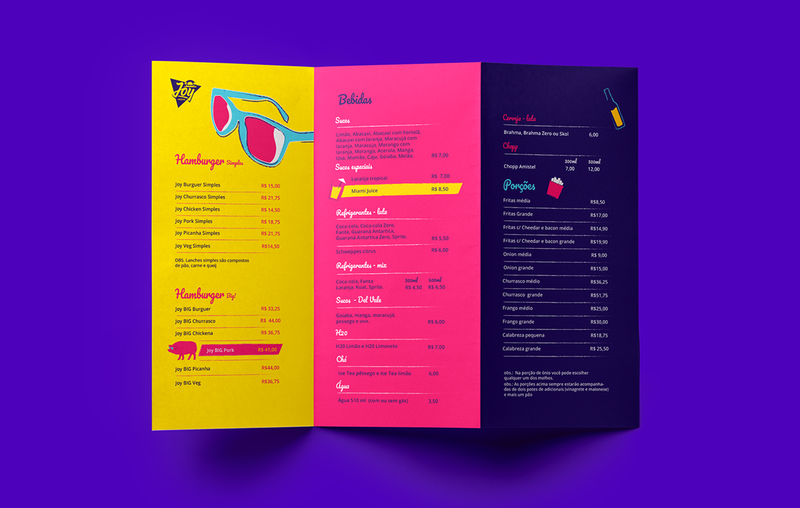 But how do we create a immersive visual identity for this kind of restaurant bringing influences from Miami to Brazil? 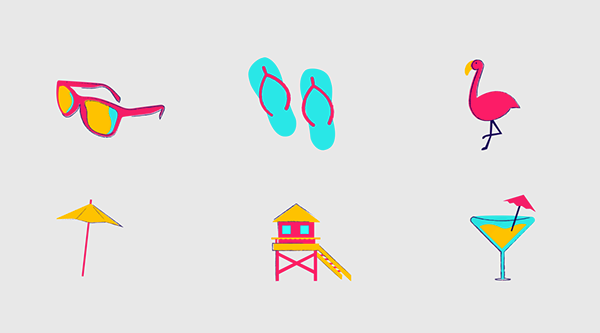 The main idea was to combine the tropical and sensual influences of Miami in a single visual universe. 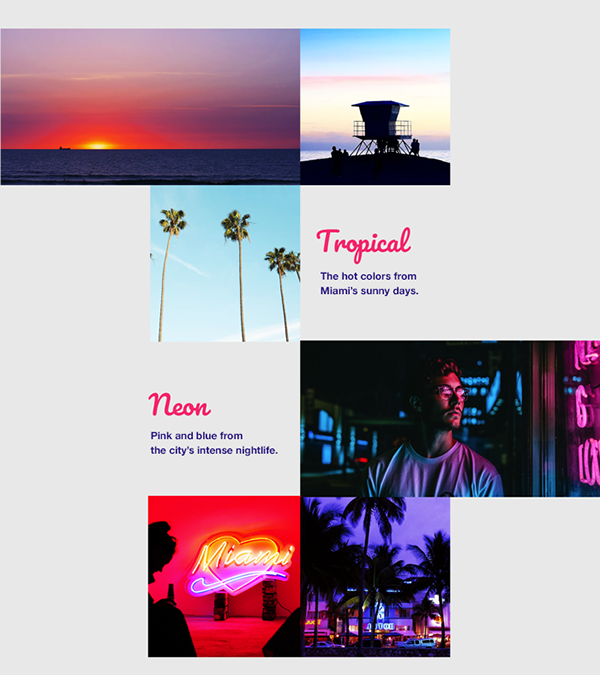 So, the big idea for this project was to understand how the city communicate itself - the hot colors of the sunny days in Miami, mixed with the pink and blue of the neon lights of its nightlife. 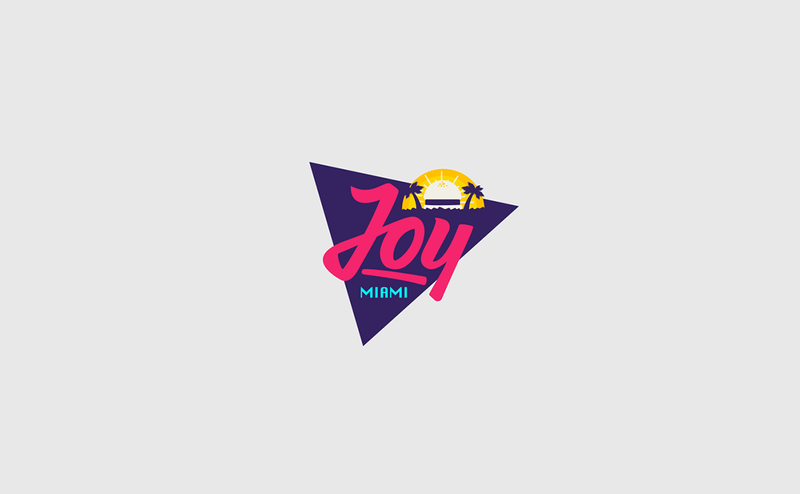 This idea is reflected throughout the whole identity, including the logo, that is inspired by the city’s neon signs. 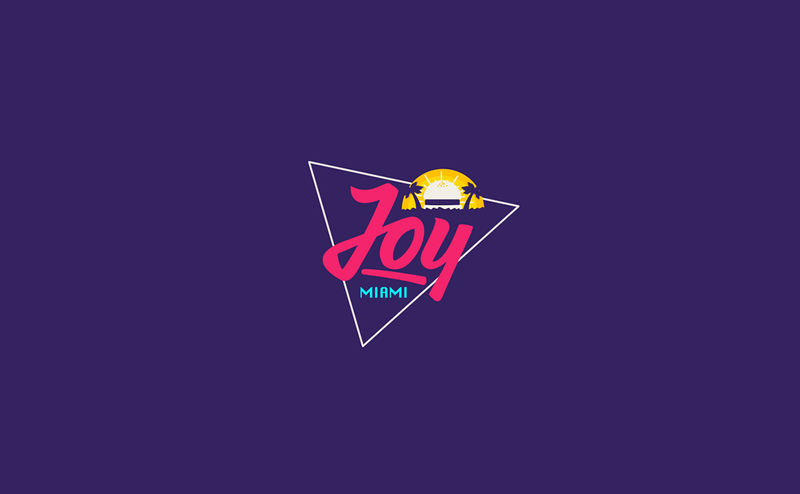 The result is a colorful visual identity, conveying the happiness and good life of Miami. 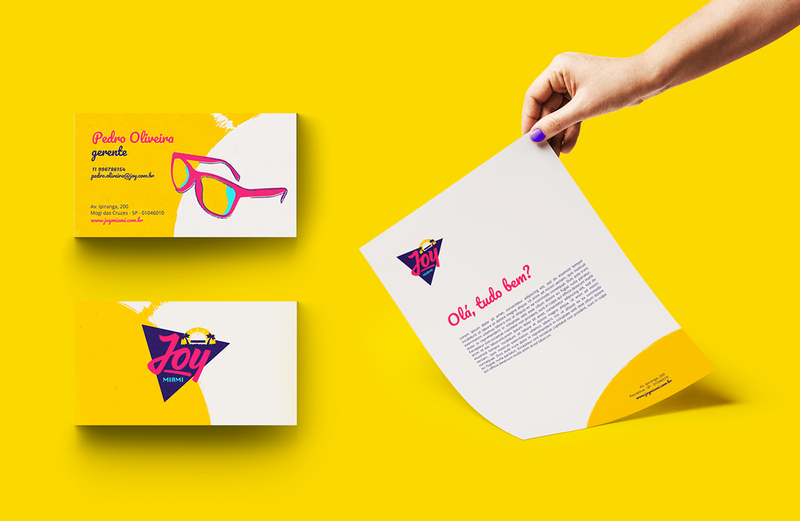 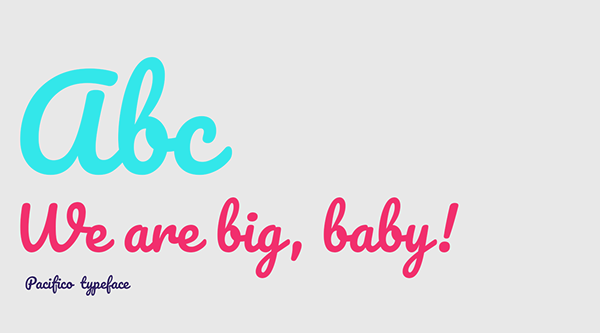 With contrasting colors and handwritten typography, the logo represents a neon sign. 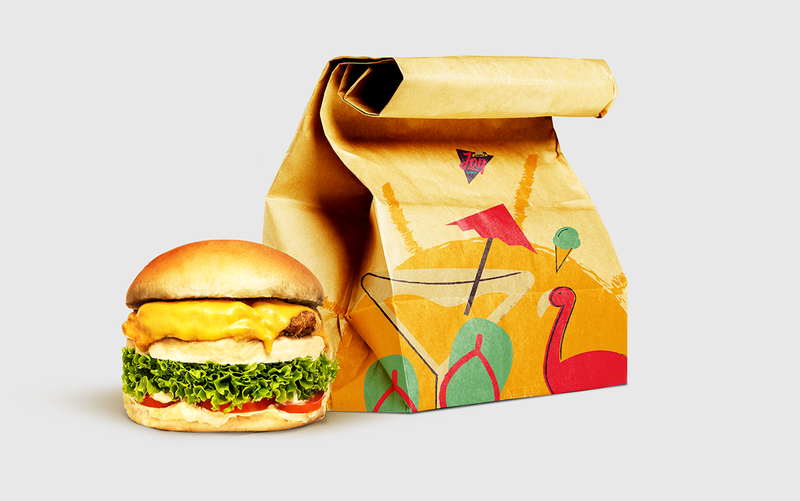 The burger in its upper part represents the sun of Miami. 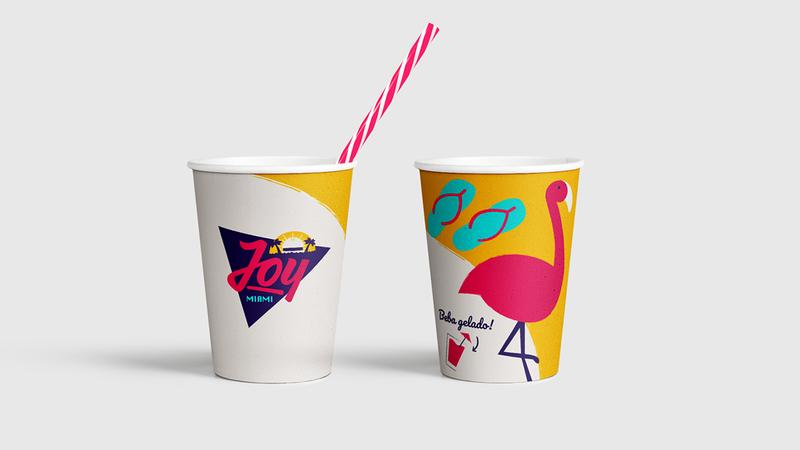 The visual universe has a vibrant and fun illustration style representing the friendly environment of the city.